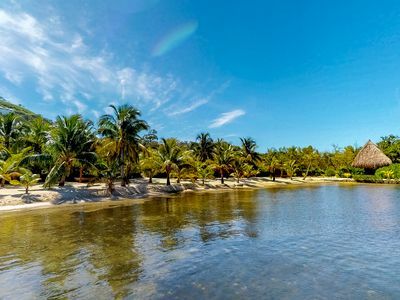 Grab your swimsuit and enjoy this incredible property! Ask us about our new mid-season rates, beginning June 4th. The property is gorgeous. 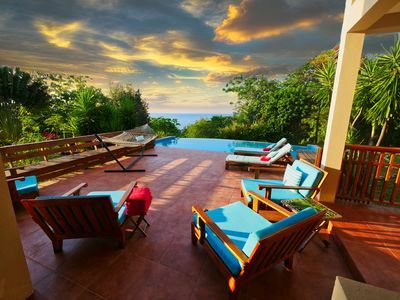 4 bedrooms, 4 acres, private beach, luxury furnishings, private pool, incredible views on every level. 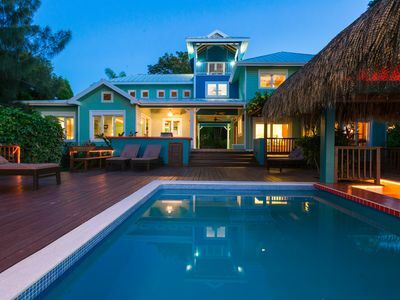 We created this home to be a piece of paradise and a place that you will never want to leave. Every detail has been thoughtfully designed so our guests feel it is their home away from home. 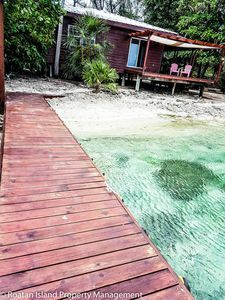 Swim off La Diosa's private dock into the warm Caribbean waters or take our kayaks to snorkel Roatan’s amazing coral reefs. 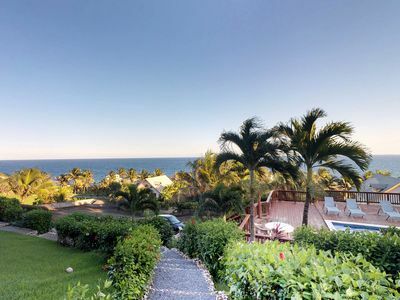 This 4 bedroom Villa has panoramic views of the ocean and tropical gardens and a private beach. 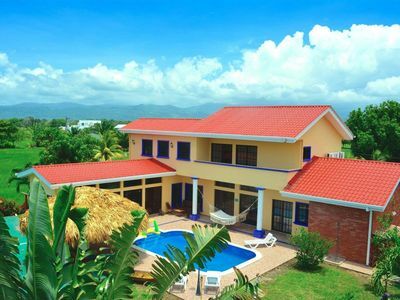 La Diosa is a perfect place for couples seeking a romantic getaway or for families and friends looking for a special place to relax and reconnect. Close to everything but a world away. 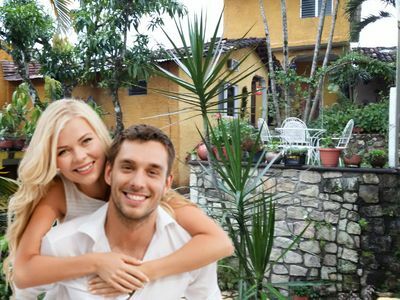 Even though the villa is roomy and expansive, it can feel very intimate. There are many places for family and friends to gather and enjoy each other's company and also nooks and crannies for quiet reflection. There is an infinity pool, acres of gardens and paths, and a labyrinth made from the white quartz stones gathered from the property. 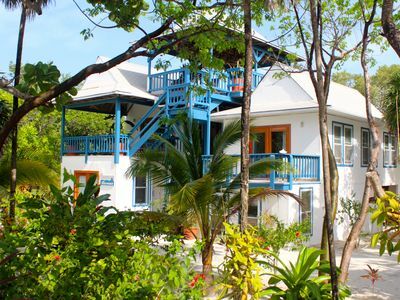 If you are a water person, besides the pool you can swim and snorkel off La Diosa's private dock, or kayak and paddle board,. The Politilly mangrove tunnels (across the Bight) are a trip back in time. 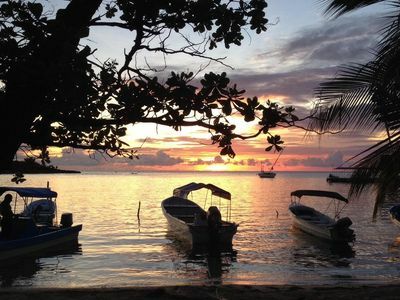 Snorkeling, deep sea and local fishing excursions are also available with Captain Manderson right next door. If you are a diver, Subway Watersports provides Valet diving and snorkeling services and will pick you up right off the dock to dive or snorkel at all the best places along the uncrowded North Shore reef. The four bedrooms include 2 master suites with ensuite bath. Spectacular views await you on every level, and the accommodations have been chosen to perfection. We also have a caretaker on the property 24 hours per day. 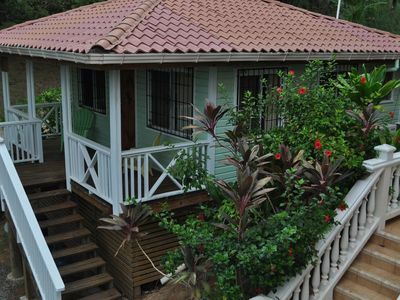 And while the villa is secluded and private, restaurants, shopping, and Roatan's many attractions are not far away. 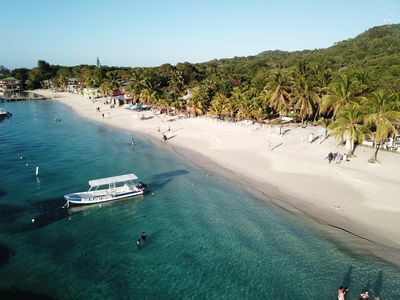 Our guests find the location perfect to explore Roatan's many attractions. 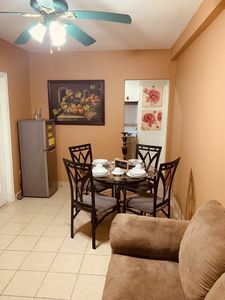 If you love to cook, the fully equipped gourmet kitchen has a large island of slate and Honduran rosewood, an eating bar, two dining areas, and spectacular views of the Caribbean. The screened porch by the pool has a lounging area, a bar, and yoga and exercise equipment. 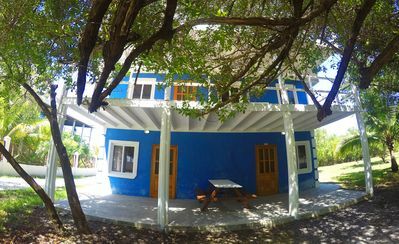 It was really important to us to make La Diosa a 'green' home suitable for asthmatic and environmentally sensitive people. 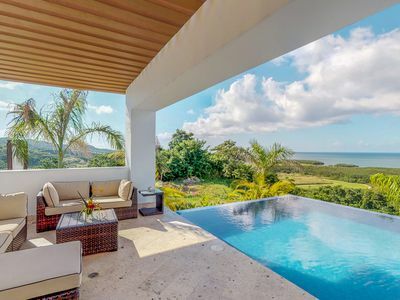 The home has tile and concrete construction, solar power and hot water, a salt water and ultraviolet light system in the infinity pool, and non-toxic, sophisticated energy-efficient construction. We NEVER use pesticides and we strictly forbid the use of fragranced detergents or fabric softener. 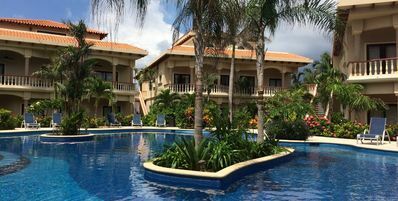 La Diosa is a truly magical place....we are sure you will love it as much as we do! Check us out on Facebook at La Diosa del Sol! 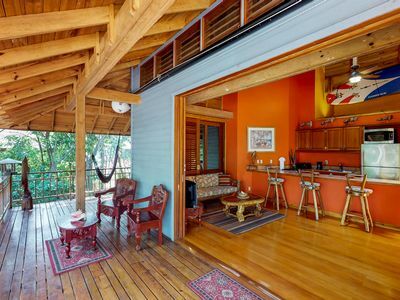 Casa Canuck Suite B - Waterfront Roatan: Private Deck & Dock, Many FREE Extras! 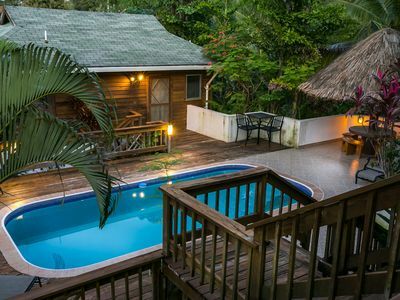 Seaside Inn: Gecko Bungalow- Private Pool! 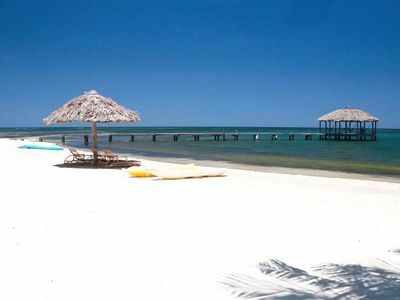 West Bay Beach!!! 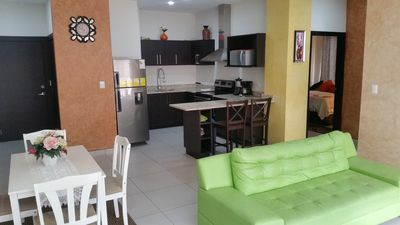 Brand New Luxury 2 Bedroom - 2 Bath Condo 1,200 Sq. 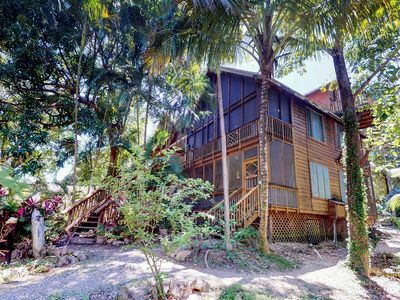 Ft.
Dog-friendly house w/ shared pool & amazing views, walk to West Bay Beach! Enjoy high life at budget prices! 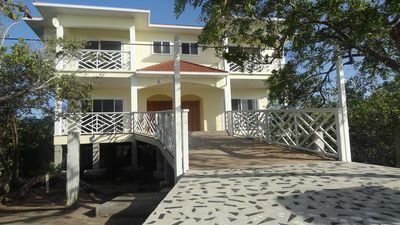 New, charming home w/ private pool & sea view - steps to Coral View Beach!